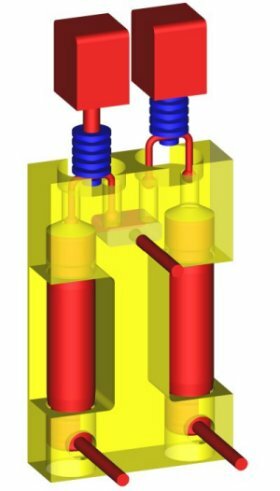 Design of high voltage equipment and other devices utilizing electric fields require accurate calculation of the electrical stress in order to reduce flashover or meet many other design criteria. 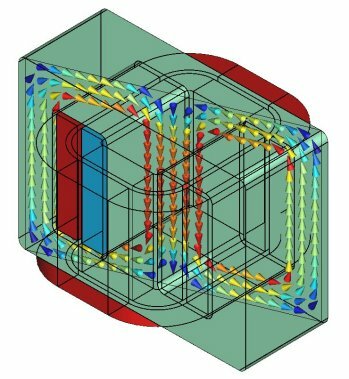 Unlike most other physical disciplines, often a very large air space around the electrical device has to be included in the model. 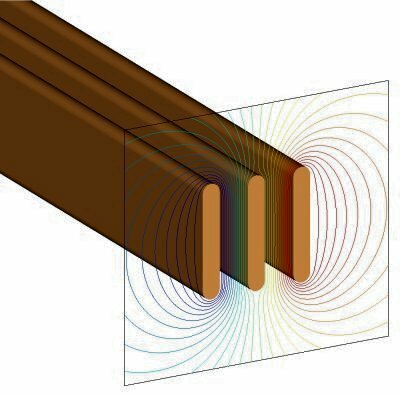 Thus, special modeling techniques like the Boundary Element Method have been developed which makes the solution of these very challenging problems a simple matter"
Our software computes the electric field (or stress) to determine flashover, corona dielectric breakdown, or insulation stress. 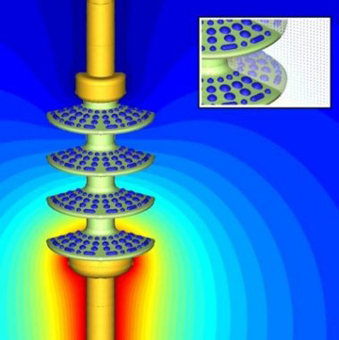 Other more advanced simulations can be used to model pollution or contamination on insulators, as these layers may significantly alter a device’s performance. 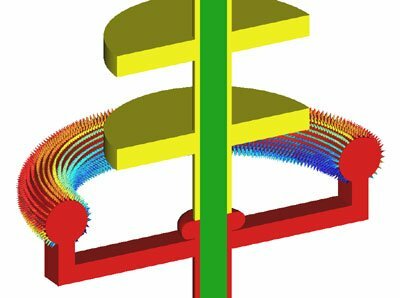 As Partial Discharge (PD) Inception is commonly encountered in the design of electric field devices, our electric field solvers have special algorithms for calculating this known problem, and our transient capability can model such phenomena as lightning strikes. 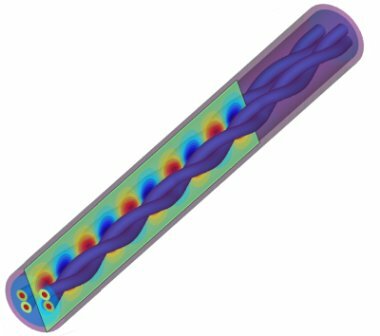 In the case of ohmic or dielectric losses, the heat produced may significantly affect the temperature distribution in a device. 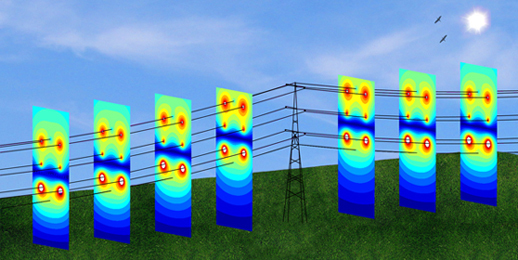 The resulting variation in electrical parameters determines its performance. 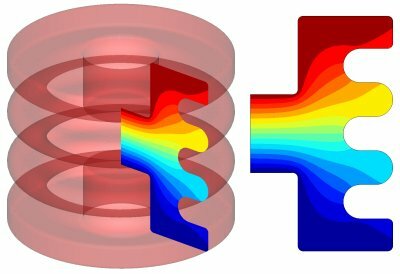 For such combined-physics applications, electric field can be coupled with the thermal field to determine the operating temperature of the device. 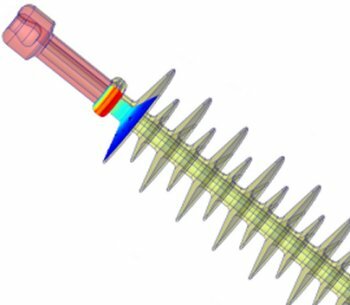 The Boundary Element Method for the electric field calculation is coupled with the Finite Element Method for the thermal analysis. Users benefit from fast solving due to INTEGRATED’s built-in parallelization (included in our packages at no extra cost).